It was a fantastic weekend of lawn bowls at the Pacific Indoor Bowls Club as Teams were competing for the 2018 BC Indoor Mixed Pairs Championships. The tournament featured 18 Teams from across the Province that started the weekend off in section play, with the Top 8 Teams moving on to the playoffs. After a few surprises early in the playoffs, the Gold Medal game featured Eric Leung & Rainbow Lung against Paul Lee & Fanny Yeung. After a long fought weekend it was Leung & Lung who would make it over the line to take home the title. 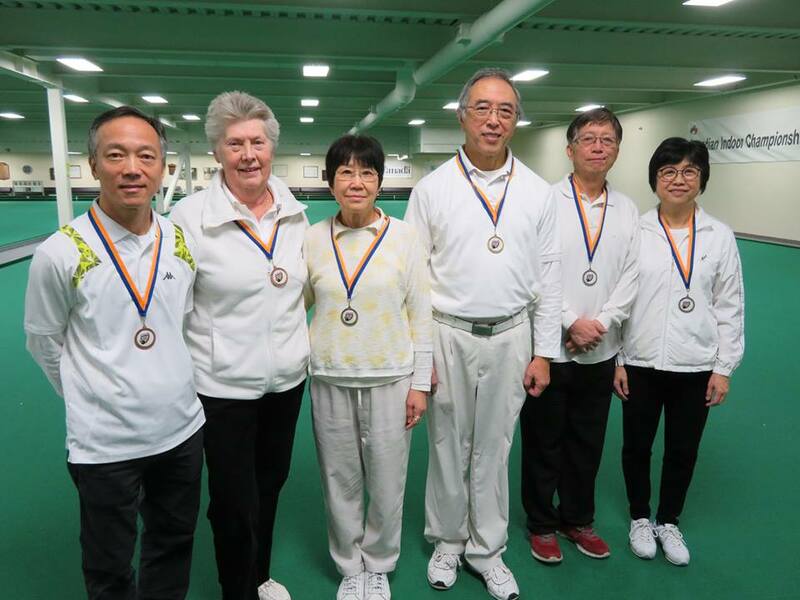 In the Bronze Medal game it was Diane Fulton and her partner Earl Luk who would beat last years Champions, Lynn Coules & Ed Logan. Eric & Rainbow will now represent British Columbia at World Indoor Bowls Council Championships, which is being held in Hartlepool, England on April 10-13, 2018. Congratulations to everyone that participated and a special thank you to George Cubiss, David Mathie and their Team of Umpires, who did a great job throughout the weekend. Also to all the volunteers and the PIBC that made this such a great event for everyone.